Between 1973 and 1979, a few streets in Central London became the heart of a squatting community fighting to safeguard the area’s future. 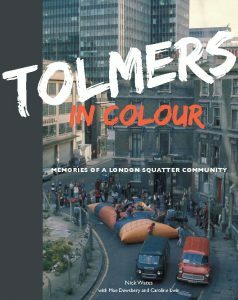 In Tolmers in Colour, Nick Wates, one of the leading campaigners, shares some personal and political memories from his photo archive. 80 pages 25.3 x 21 x 1.5 cm, full colour throughout.